With my JetPrivilege account, I am going places! 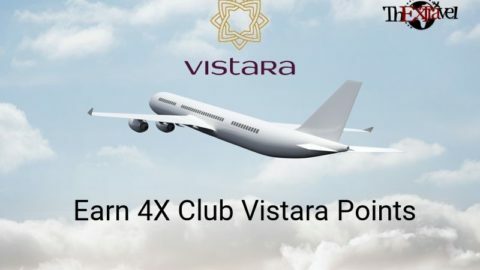 Last month, I got an email from them mentioning that I have earned 1,00,000 JPMiles, that too within the span of 1 year. It is a super exciting opportunity. Now, I can redeem those points to travel to more than 84 enchanting destinations across the globe. For those of you who do not know what JPMiles are, these are points that you can get by having transactions on the airline or non-airline partners of JetPrivilege by Jet Airways. You must register as a JetPrivilege member in order to earn JPMiles. It is a part of the rewards and loyalty program of the Jet Airways. In the span of just a year, my dashboard showed a score of 1,50,490 JPMiles in total, and if I can do it, you can do it too! In order to earn JPMiles, you need not only travel via Jet Airways. You can earn these points by transacting on any of the 150+ partner websites and services of JetPrivilege. 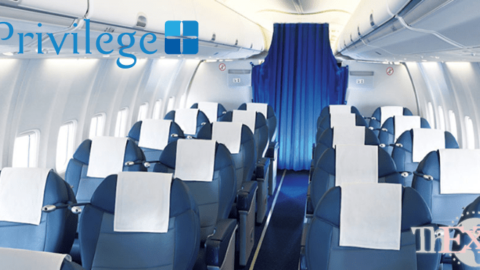 JetPrivilege has partnered with numerous top-notch companies in different sectors. 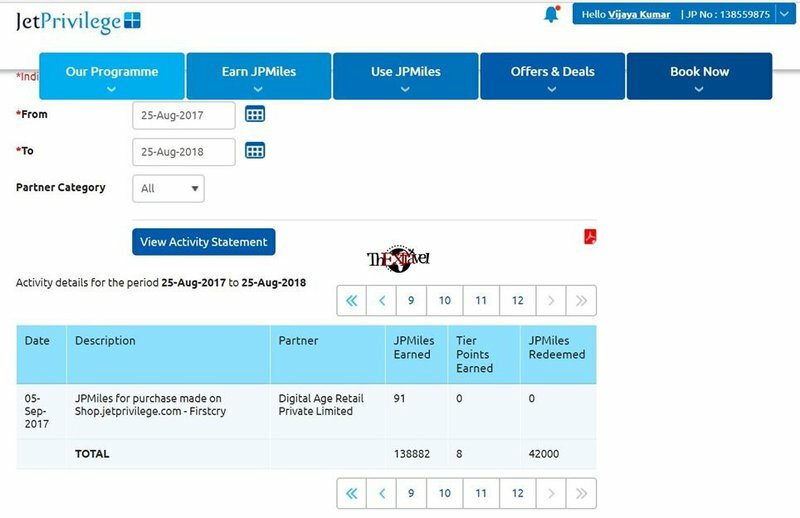 So, you can earn JPMiles while you shop, talk, dine, read, fill some fuel or even rent out a car. Isn’t that amazing? Yes, it might seem unbelievable, but as you gather these points, you can then redeem them for free flights and amazing discounts. My secret to gathering these many points in such a small time is that I used the Jet Privilege account for almost all the transactions I made. 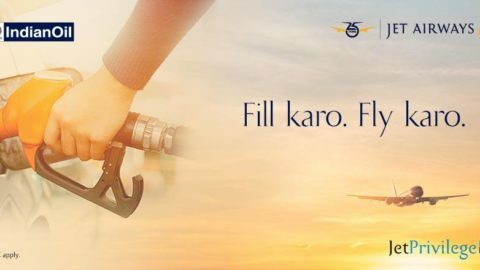 Jet Airways partners with more than 20 airlines and so, there is a lot to choose from. You should not get disappointed if you are not a frequent flyer. This is because you can earn JPMiles by staying at a partner hotel too. Swiping co-brand cards while you shop or dine also entitles you for some JPMiles. 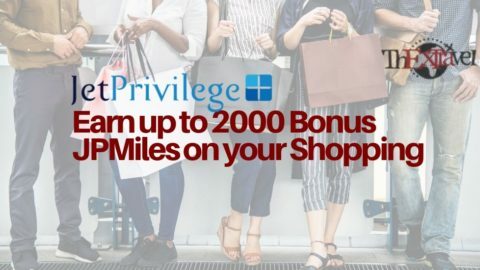 JetPrivilege has also partnered with several retail brands to allow its customers to earn JPMiles when they shop at retail outlets. These are some amazing ways to earn JPMiles. You can keep track of your earnings and its validity by logging in to your dashboard. But in order to be eligible for these rewards, you must have a JetPrivilege account. So, do sign up for it, just like I did and also open up new travel avenues for yourself! I know it’s tough to believe me and so, I have attached a statement of my last year’s earnings. It shows my activity on my JetPrivilege account from 25th August 2017 to 25th August 2018. Transactions done on all partner websites and companies of JetPrivilege are taken into consideration in this statement. It also shows how many JPMiles I have earned for which transaction and the tier points that I have earned. You can earn tier points based on flights taken in Jet Airways. As you can see from the screenshot, I have earned 1,38,882 points in just one year. You can also earn similarly if you get a JetPrivilege membership and transact at partner outlets. In order to earn these many JPMiles, I have used different credit cards and shopped at different locations too. The number of points that you earn varies depending upon the place where you do the transaction and also the payment mode. As you can see, I have made use of AMEX, HDFC and IndusInd Bank credit cards for payment. 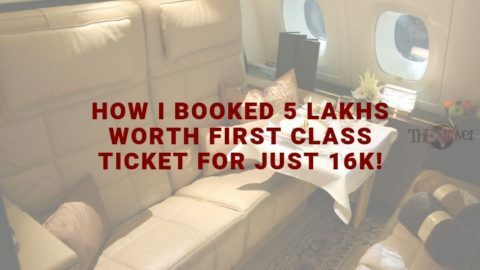 Apart from transacting on Jet Airways, I have also transacted on partner websites such as Bigbasket, Payback, Firstcry, Booking.com, Amazon, Agoda and Woohoo. Below is a detailed breakdown of my earnings from each of the partners. As you can see, I got maximum earnings from transactions done using my Jet Airways American Express Credit Card. Now, let us check in detail how I earned points on each of the partner locations of JetPrivilege! I earned 72942 points using the Jet Airways American Express Credit Card. I did this by redirecting all my expenditure done on shopping or online payments to this card. Just like using the Jet Airways American Express card, it gave me maximum earnings. I earned 25577 points using the Jet Airways IndusInd Bank Odyssey Credit Card. 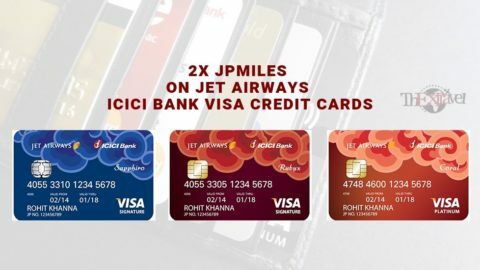 It is always good to have multiple cards of Jet Airways as different websites have different offers and discounts for different bank’s credit cards. On using this card, I got 10000 JPMiles as a welcome bonus. Yoo-hoo! On websites and places where Amex was not accepted, I used this card. By taking advantage of this offer, I earned 6000 Bonus JPMiles, i.e., around 30% of my earned points as a bonus. This offer is available for frequent flyers who convert their loyalty points into JPMiles. According to this offer, loyalty points of any hotel or bank can be converted. When you convert loyalty points between 5000 and 19999, you get 20% bonus, and for the above 20000, you can get a 30% bonus, just like me. You can also convert your payback points into JPMiles and get 30% bonus on these JPMiles. It is effortless to collect JPMiles, and this is an excellent opportunity to improve your score of JPMiles. 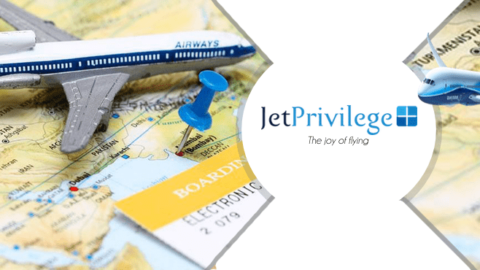 If you fly with Jet Airways and have the JetPrivilege account, then you can earn JPMiles. This is a partner website of JetPrivilege, and you can earn on bigbasket.com. 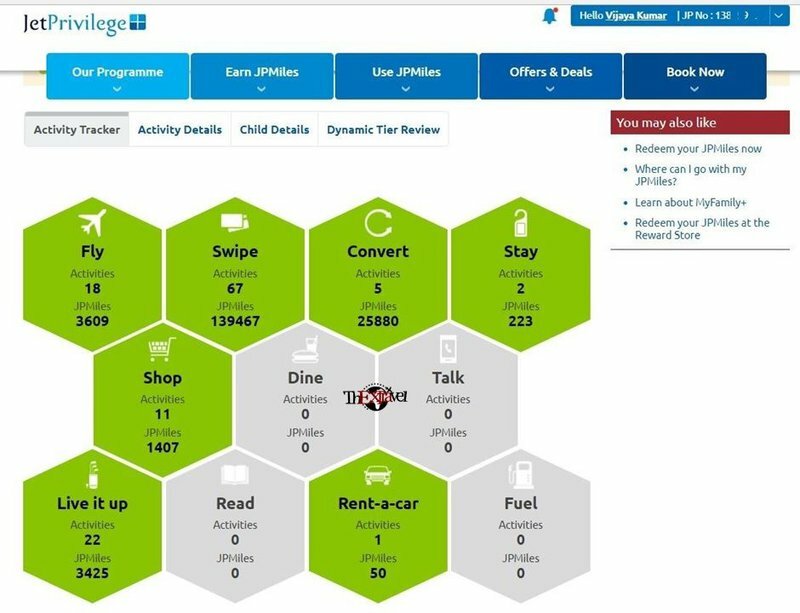 If you spend on this website, you can earn 8 JPMiles for every INR 100 spent. Make your grocery shopping profitable by spending at least INR 5000 on Bigbasket and get up to 400 JPMiles, which means your ticket to a free vacation. If you book on Agoda and Booking.com website for hotel bookings, then you can earn JPMiles as a JetPrivilege member. With the PAYBACK Deals Assistant – Chrome Extension will do the toughest yet the most prominent task, compare the rates on over 30 online shopping websites, delivering you the best prices in seconds. You will never be overpaying for any item you purchase anymore and earn Payback points where it wouldn’t possible earn JPMiles and later you can convert to JPMiles. Sometimes JetPrivilege offers to get 30% bonus JPMiles. Don’t miss the chance to convert payback points to JPMiles. With proper planning and use of multiple credit cards as well as offers and websites, you can efficiently maximize your JPMiles earning.